For years I have been hearing wine writers and others say that unless Canadian wines are sold in the UK or the US we will never become a well-known industry. Unless our wines are reviewed by the heavy hitters of the wine world (no need to name them here, just google World Wine Writers) then we will never amount to much of an industry. I think this is true. I also find myself saying…does it matter? I will be the first to say that I am tired of opening up world wine atlases and finding the Lithuanian wine industry getting 3 times more column inches than Canada’s (nothing against Lithuania). Our section tends to be a paragraph, not a section, and it quite often discusses the hybrids we grow, the icewines we make and one or two founding producers. Antiquated information at best. Utterly false at worse. I’d like to make the case that Canada should hang a much more important moniker on its wine industry than just “world-renowned”. How about World’s Most Sustainable Wine Industry? There are many definitions of “Sustainable” but one simple way of thinking of it is living within one’s means. On an individual basis, not such an easy thing to do. But Canada’s industry sits in a unique position on the worldwide wine scene. We consume much more than we produce. The first thing you should notice is that in order to see Canada (the far right bars) the scale should be changed (ie: we are a tiny blip). The next thing you should notice is that Canada is the only country on this graph that shows an industry that produces far less than it consumes– 50,000,000 liters production versus 334,000,000 liters consumption. The United States is flat with respect to production and consumption although it exports and imports a great deal. You can be the greenest, most highly organic, environmentally sensitive wine industry in the world but in the end, if you have to export your product half way across the world to sell it all, are you really sustainable? Don’t get me wrong. I am not advocating for protectionism, isolationism, or drinking only local. I enjoy wines from around the world and am very happy that these other countries make more than they consume. What I am proposing is that Canadian producers see that they are in a unique situation. Instead of seeing ourselves as so small that we cannot sustain international markets, we should embrace the small. Embrace a small industry that is wrapped by a larger wine buying nation. Instead of lamenting the fact that we are not at least a page in the next world wine atlas…celebrate. Celebrate that we are an industry that lives within its means. Celebrate that Canada is a sustainable wine industry. 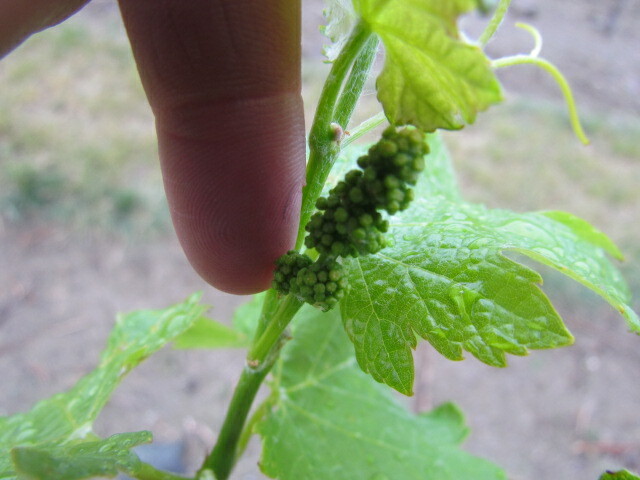 This entry was posted in Canada, Eco Sustainability, Grapes and Wine and tagged canada, consumption, export, production, sustainability, wine. Bookmark the permalink. Good point, but so what? Is 20 euros spent on wine in Puglia or Piedmont going to give you the most satisfaction? If one buys for quality/value and not for reputation then Puglia wins hands down. Which is not to say that a good Barolo may not be worth $80 but only that neither extent of production nor approval by the “experts” nor lines in a wine atlas matter a whit in terms of quality/value/sustainability. If winemakers are truly trying to be sustainable, then the vast majority of their sales should be to people in their own locale so that the carbon stored by the vine equals the carbon burned by the customer/delivery/process etc. If Canadian winemakers are reaching only 1/7th of the annual market within Canada then they could easily double the acreage planted and Canada would still remain a major importer. Let’s spend more time on strengthening our own markets and less energy worrying about what Robinson & Parker prefer. I knew there would be comments like yours when I posted and they are all valid. 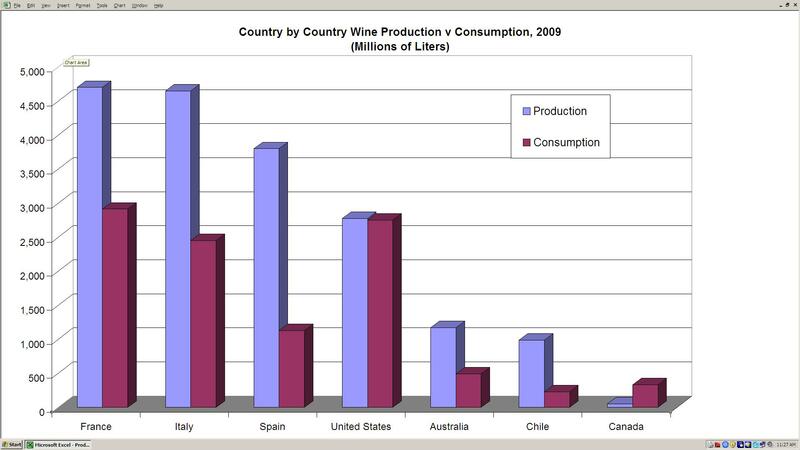 I agree that exposure to world wines are important in all wine consuming countries. I am just stating that Canada has the ability to keep all its product at home and still have room for imports (just what you’re saying). Not all countries are this way since production far outstrips consumption. In either case, I have never worried about the wine writers. I have, though, been hounded since I arrived here in 1994 by questions from local media, wine authorities, marketing associations etc. as to when we will really “make it” on the world scene. Taking care our own market is where it’s at. Possibly, we’re saying about the same thing. Thank you for taking the time to respond. I really appreciate it! I would like to see the stats for BC rather than Canada, because as it is with provincial import monopolies, the wine industry in BC is largely provincial, not national, nevermind international! I started doing it as provincial, but wanted to compare to other countries, not other areas of countries. It kept everything apples to apples and oranges to oranges (grapes to grapes I guess). Certainly you could calculate BC all by itself and I think make and even stronger case. Thank you for bringing this up again. I think it’s truly important to be thinking about all aspects of sustainability which has to include include the location of the product’s primary market. It just doesn’t make sense otherwise. I’d be interested to see what New Zealand would look like on your graph because that’s the place where I think the imbalance is the greatest. That was a big starting point for me in a post I did for Consciouswine.com, a website out of Oregon that promotes sustainably grown wines. The article I wrote is here http://consciouswine.com/questions-and-more-questions/ and I did a podcast interview with Jeff, the creator of Consciouswine here http://wp.me/pAEBR-i8. New Zealand is 205 million liters of production v 86 million liters of consumption.